This is a wonderful, comfortable seat cushion! A Kennedy style rocking seat chair cushion can be hard to come by but we manufacture awesome ones. Our rocking chair cushions are made from 50/50 cotton/poly duck. 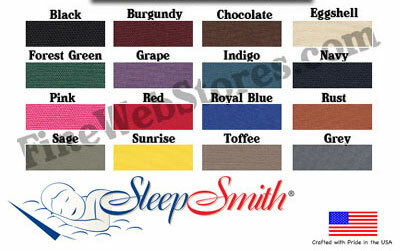 This is a fairly hard canvas type material which looks GREAT, wears like iron and comes in a great selection of colors. The seat cushion is approximately 18 1/2" wide at the front and about 19" deep, with two ties at the back. 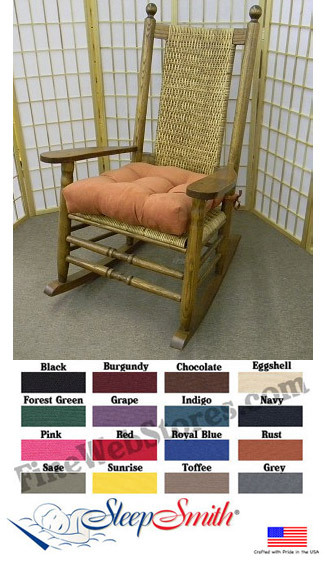 The Kennedy Rocking Chair Seat Cushion is made from 50/50 cotton/poly duck fabric.